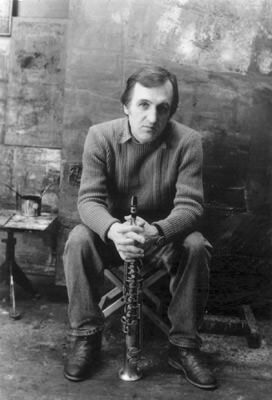 Yury Yaremchuk is the prominent Ukrainian saxophone player and composer, one of the best sax and clarinet improviser in the whole Post-Soviet space. Yaremchuk plays tenor saxophone, soprano saxophone, clarinet, bass clarinet, writes composition for Theatre, participates in modern Art performances. Yury Yaremchuk plays free jazz and new improvising music, as well as mainstream jazz and jazz-rock, classic music. Yury Yaremchuk performed with many jazz and avant-garde musicians, such as Claudia Binder and Marcus Eichenberger (Switzerland), Jim Menesis, Ken Vandermark, Dave Rempis, Tim Dysi, Michael Zerand, Fred Frith (USA), Heinz-Erich Goedecke, Hans Schutler (Germany), Magnus Bro (Sweden), Fred Frith, John Surman, Vladimir Miller (GB), Jezas Mikashis (Lithuania), Ioachim Mencel, Mikolaje Tcsaska (Poland), Sergey Letov, Vlad Makarov, German Lukjanov, Mikhail Zhukov (Russia), Alexander Nesterov (Ukraine). The most important projects: Russian-Ukrainian Project, 3 "Yar" - a family trio with daughters-twins, Duo with singer Natalka Polovinka, SAX MAFIA (Saxophone Quartet), Resonance, YaToKu, Gnydin-Yaremchuk duo, Enzo Rocco-Yaremchuk duo.